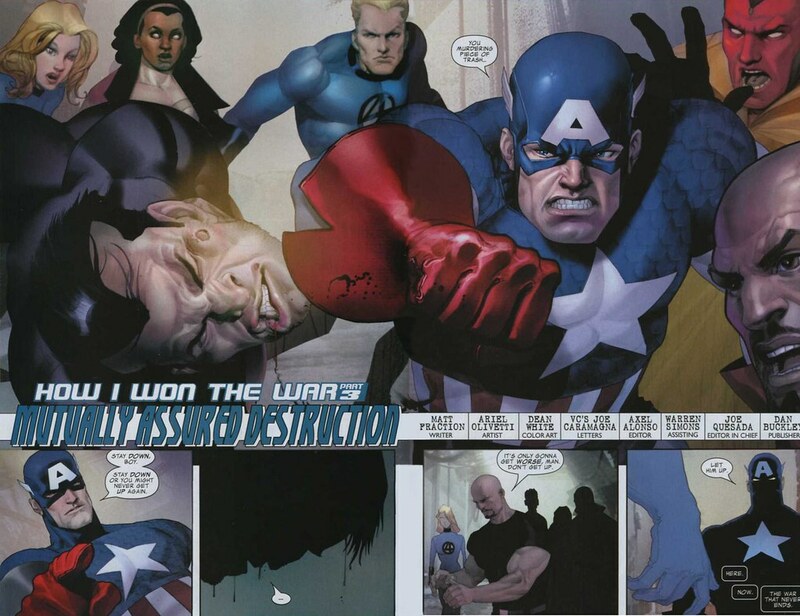 Worth noting Cap never actually displayed a willingness to work with the villains, at last not in the first take. 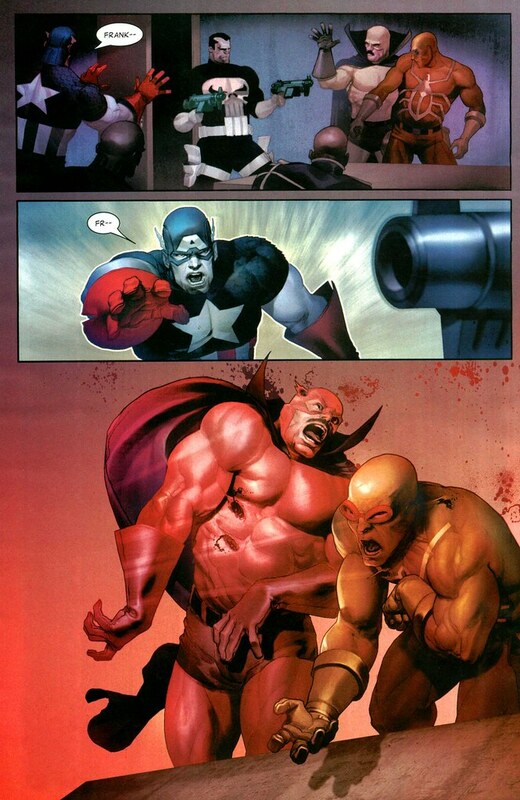 He doesn't get a chance, since Frank blasts them as soon as they're done talking, when Cap is still surprised they'd even show. And I don't buy that SHRA would affect the villains more than the heroes, since a lot of them live as fugitives anyway if they're not in prison. Reformed supervillains, sure, but active ones? With Civil War came the prison invented by Iron Man, Hank Pym and Reed (41 or 42 it was called, can't quite remember) in the negative zone which would have been a hell of a lot harder to get out of I'm guessing. But then again the raft was pretty daunting. Meh, I guess at the end of the day we can blame the need for plot progression. 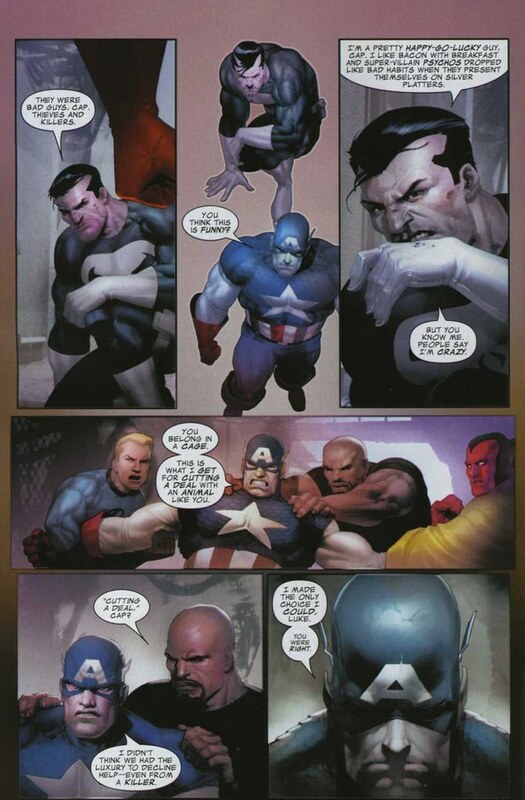 CIVIL WAR FRONT LINE #11 revealed that Superprison 42 was more of a deterrent for superheroes so they would register, and then a "typical" prison for supervillains. Having avoided Civil War like the plague, I'd forgotten all about that. 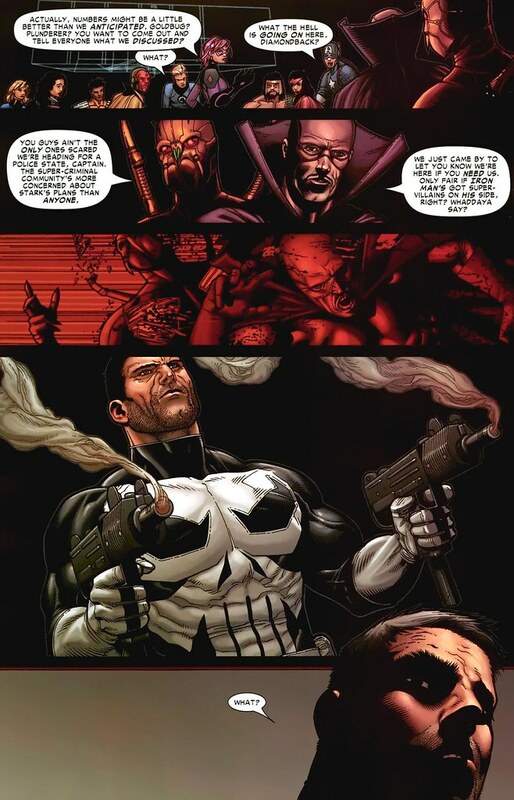 If word on the Negative Zone prison was out at this point, I might see Steve allying himself with some villains (depending on where they stood on the Morality Scale) for the sake of due process. 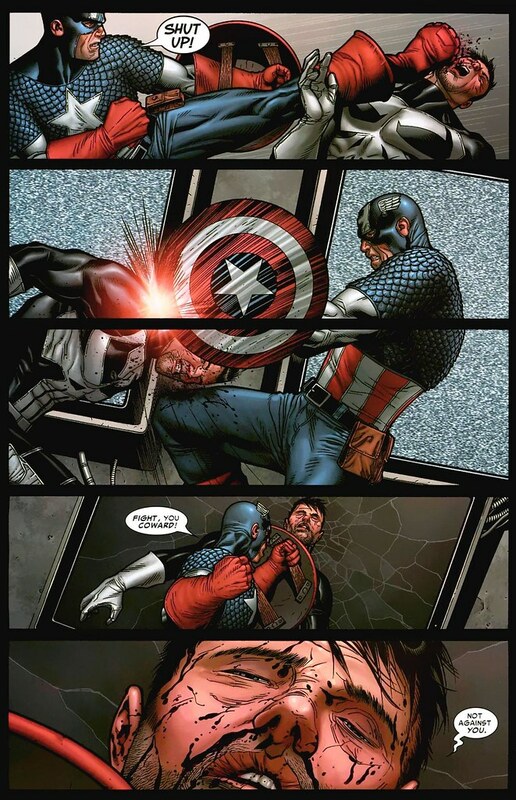 Steve was pretty OOC for Civil War. 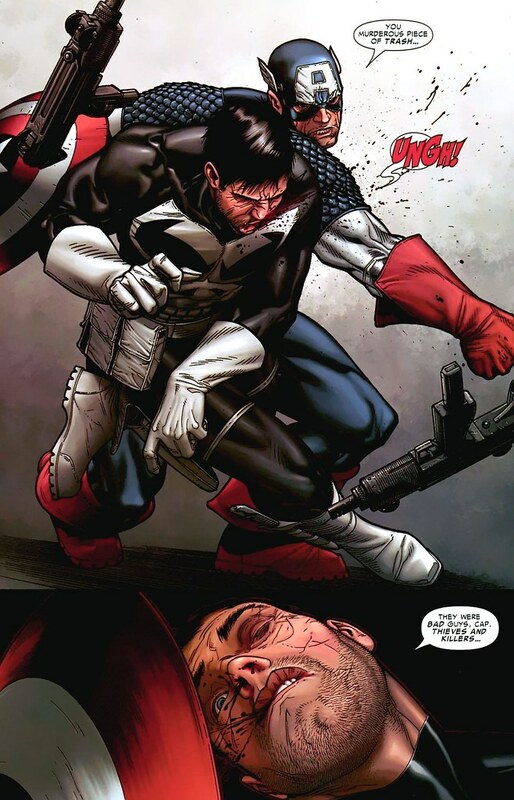 The Civil War trade was the first comic I'd ever read and I loved it. I still think it's a great read if you don't know much about marvel's history, but a lot of characters were quite OOC now that I know them better. 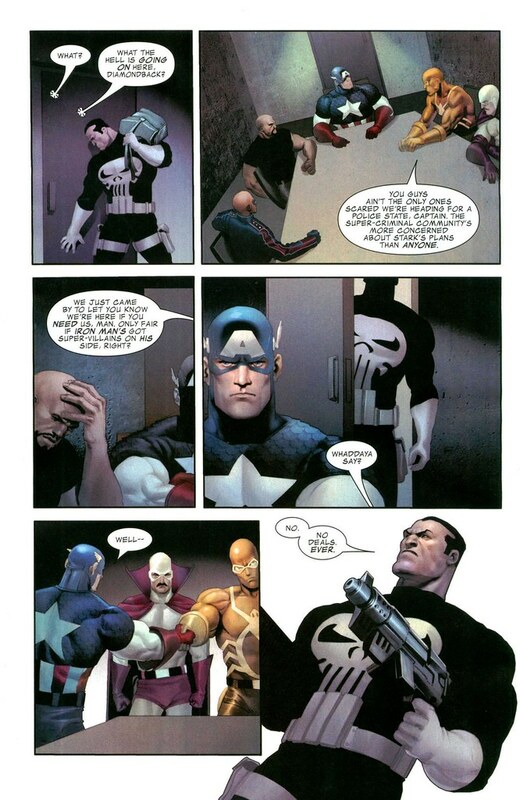 At least McNiven's art is the greatest thing ever. 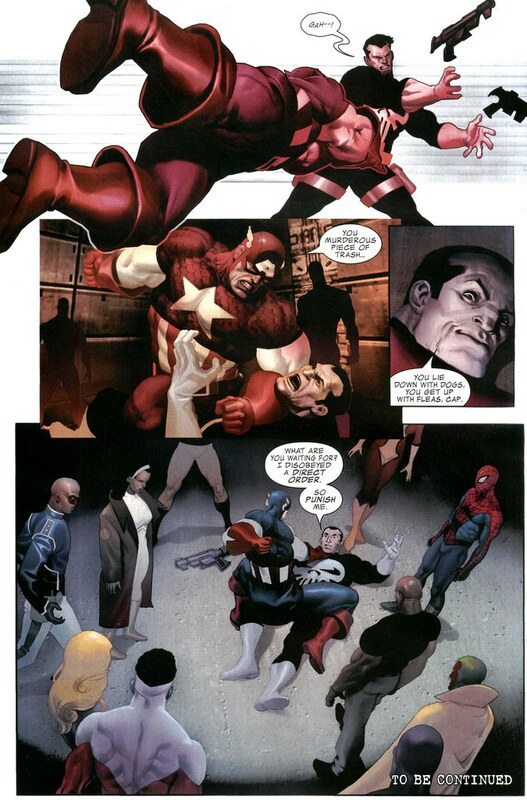 The one-shot CIVIL WAR: WAR CRIMES by Frank Tieri had Captain America making a deal with the (imprisoned) Kingpin. It allowed Iron Man's heroes to find and capture a group of low-level villains. That was OOC. 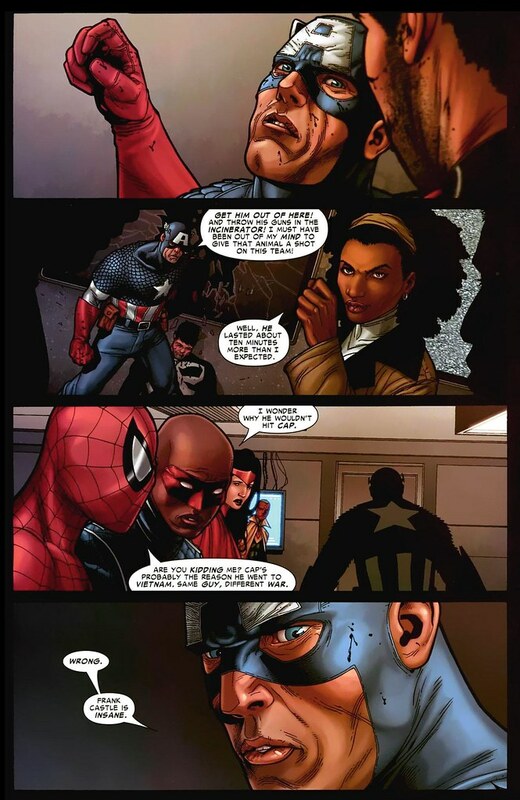 But a lot of characters in CIVIL WAR acted OOC or against what they had done in previous stories. A few issues tried to explain, but they didn't do a very good job. Having grown up on Spider-Man and X-Men, it was pretty much the antithesis of everything Marvel'd ever taught me, and only the beginning of worse times for the MU. And McNiven does nothing for me. Well, nothing good at least.